– and all other Law Enforcement Officers (LEO). How can we show our appreciation? First, why not buy an officer a cup of coffee or breakfast? The only danger here is that it might be construed you are trying to bribe the officers for small favors. To overcome this problem, buy a gift card for coffee or breakfast and anonymously donate it to your local police station. If you give cards to the sheriff or police chief, I’m confident they would distribute them equitably. 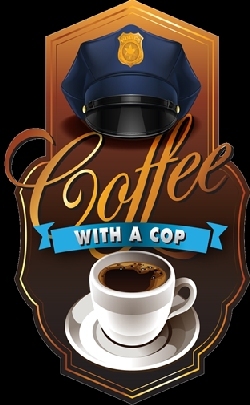 Another movement catching on, particularly in our northern and western states, is the “Coffee with a Cop” program whereby a civic organization or a radio station arranges for citizens to meet with law enforcement officers at a coffee house. This provides an opportunity for residents to ask questions and share concerns, and in the process, build relationships. These “Coffee with a Cop” events are catching on rapidly. Buying a cup of coffee may seem like a small gesture, but on a cold morning it is very much appreciated, as is the support from the public. Second, for many years, our local Masonic Lodge has held a program for “Deputy of the Year.” Working through the sheriff’s office, a deputy is selected by the department to receive recognition. The Lodge then hosts a dinner where the deputy and his/her spouse are recognized for their service and given a small token of appreciation. The deputy then makes a few comments thanking the group for the award and recognizes the support of his family and unit. It is a very touching and appreciated award. Third, Christmas is approaching and I know of schools who have invited the family and friends of law enforcement personnel to a special holiday program featuring choral units. Both children and adults particularly enjoy such personal entertainment. I’m sure there are dozens of other ideas you may have to thank law enforcement for their efforts. It doesn’t have to be a lavish affair either. Just a genuine expression of gratitude, such as young students writing “thank you” cards to local police, or invite LEO to meet and talk with students. A simple hand shake will also do. Maybe the best way to show your appreciation is to simply obey the law. In this day and age where the nation has been exhibiting a general lack of respect for law and order, it would be refreshing to see people abide by the law. In the process, it would make the job of a law enforcement officer a lot easier. No, LEOs are certainly not perfect, but we must remember, they are human and are on our side. They are the ones we call when we are in trouble or need protection. It’s a dangerous job, which is why an occasional “thank you” works wonders in cementing relations between the community and law enforcement.